The excitement and adrenaline that surrounds the release of any new or upgraded Apple product is something that manages to take hold of the technology loving world every time the company decides to push out a new or updated piece of kit. We may feel frustrated for allowing ourselves to get so excited about a gadget or a smartphone release, but for reasons known only to themselves, a lot of people have a strong emotional attachment to Apple’s kit. 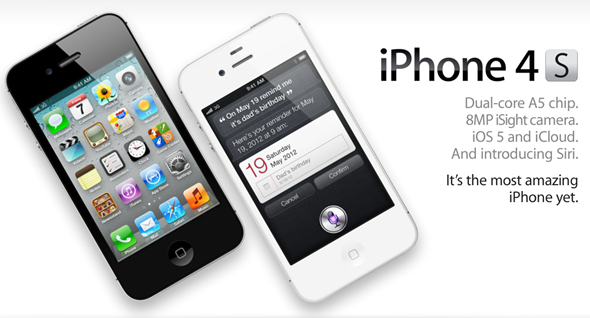 Unfortunately, we haven’t had a shock account from Apple about a new gadget, but that doesn’t stop consumers in the United States getting excited as the iPhone 4 and 4S are now officially available to buy on a prepaid basis from Cricket Wireless. This may seem like normality to a lot of Europeans who have already had this option for quite some time, but in the States, this is a first with customers usually needing to sign up to 18 or 24 months minimum terms to get their hands on an Apple iPhone. Not very convenient I’d rather say. 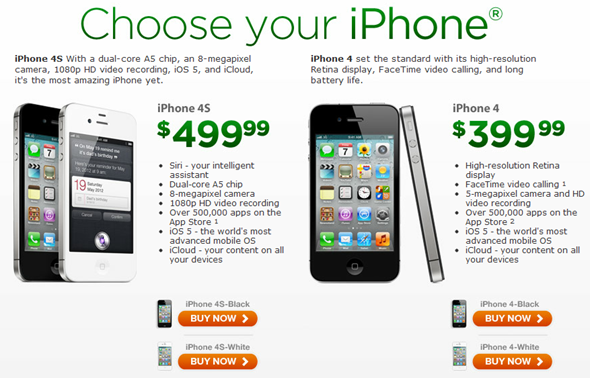 Cricket Wireless, who operate as a subsidiary of Leap Wireless, are offering the iPhone 4 and 4S to people who wish to purchase the device outright, with an 8GB iPhone 4 retailing at $399 and the larger 16GB iPhone 4S coming in at $499. After parting with their initial one-off payment, customers then pay $55 each month to get access to an unlimited calling plan that offers unlimited voice calls, text messaging and an all-you-can-consume cellular data. Be wary though, as unlimited always comes with a fair usage policy that will more than likely be lower than the word unlimited suggests. It it fast becoming a regular occurrence that those who wish to get their hands on Apple tech queue up religiously outside an official Apple retail store to be one of the first to get their hands on whatever is being released, but I am not so sure that Cricket themselves would have been expecting the queue they got this morning from those who are eager to take advantage of this more flexible way of owning the world’s greatest smartphone. Sales are reportedly “brisk”, which in all honesty could mean anything, but with Virgin Mobile set to offer their customers a similar deal in the coming weeks, it just shows that America does have a market for prepaid iPhone ownership. So, eager to get your hands on America’s first-ever prepaid iPhone? Simply head over to this link, and get started!